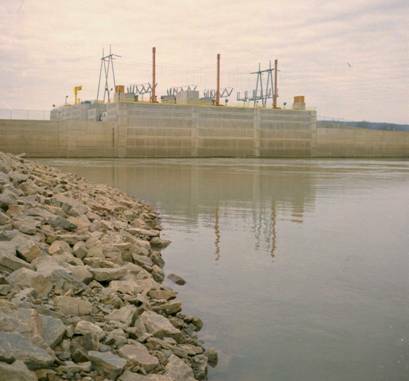 The Electric Cooperatives of Arkansas completed the first of three hydropower plants on the Arkansas River in one of their most ambitious generation projects ever in December of 1988. The plant was dedicated on April 24, 1989. The plant, the Clyde T. Ellis Hydroelectric Generating Station, was built at the James W. Trimble Lock and Dam near Fort Smith. It marked the cooperatives’ commitment to a long-term, low-cost power source for their members, as well as their dedication to environmentally friendly power, long before it was fashionable to do so. Later in the 1980s and 90s, the cooperatives completed two other hydropower plants, making the total investment in hydropower energy resources at about $330 million. Although AECC didn’t begin building hydropower plants until the 1980s, the cooperatives had long been familiar with the benefits of hydropower. From their very inception, they depended on hydropower from federal dams to serve their members. In fact, without hydropower, it could be argued that the cooperatives might not have been able to survive. Two years before President Franklin D. Roosevelt’s signing in 1935 of the Rural Electrification Act, which created the Rural Electrification Administration (REA) and provided funding for the development of cooperatives across the country, he signed the Tennessee Valley Authority Act of 1933. This law laid the first cornerstone for the formation of the electric cooperatives by providing a vital building block for the program – access to hydropower from the federal government’s dams. Publicly owned utilities first got access to the power in 1902 with the passage of the Reclamation Act, which was designed to spur growth in the West by reclaiming the arid region through the construction of dams to divert and store the available water. With the 1933 law, cooperatives were added to the “preference” list, and Arkansas’ electric cooperatives have benefited ever since. In the 1950s, when many of the dams were being built in Arkansas and surrounding states, the power they produced was not the least expensive electricity being produced. But the cooperatives didn’t have many alternatives, so they took it. Today, hydropower is the lowest cost power resource, especially during periods of peak electricity demand. AECC continues to buy federal hydropower from the Southwestern Power Administration (SPA), a Tulsa, Oklahoma-based government agency that markets power from 24 federal dams. Under contract with the SPA, AECC is entitled to 189 megawatts of power annually. Because the power from SPA is available for a limited number of hours during the year, AECC uses most of it during its peak demand for power. 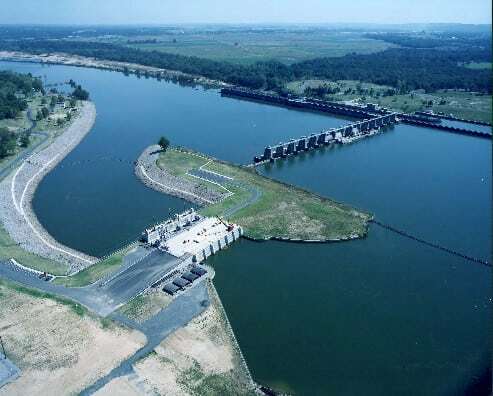 While the U.S. Army Corps of Engineers constructed major dams on the Arkansas River through the McClellan-Kerr Arkansas River Navigation Project, hydropower wasn’t a top priority and several were built without powerhouses. At a 1999 ceremony commemorating the completion of AECC’s third hydropower plant on the Arkansas River, Dale Bumpers told attendees that when he joined the Senate in 1975, he wanted to build hydropower plants on every dam on the Arkansas River. But he said he quickly discovered that there was no support from the federal government to build new hydropower plants, and the private sector was also disinterested. That’s because the investment wouldn’t provide a quick payback, but would for the long term. Bumpers added that he was elated when AECC applied in 1978 for federal licenses to build the plants. The Corps did build powerhouses at five Arkansas River dams that had the greatest potential for hydropower generation. But, because energy was cheap at the time, the government decided it wasn’t worth the investment to put hydropower plants at the other locks and dams. However, in the late 1970s, power costs were again on the rise and AECC began looking for ways to lower those costs. That’s when the cooperatives turned to the Arkansas River. It was not a decision that was made easily. Before construction began, AECC conducted feasibility studies and went through a lengthy process to obtain the federal licenses for the hydropower plants. The first plant, the Clyde T. Ellis Hydroelectric Generating Station, began operation in 1988 with an installed capacity of 32.4 megawatts and cost about $75 million to build. Five years later, the Carl S. Whillock Hydroelectric Generating Station at the Arthur V. Ormond Lock and Dam near Morrilton was completed at a cost of $80 million. Its installed generating capacity is 32.4 megawatts. The cooperatives began work on their third hydropower plant in 1994. 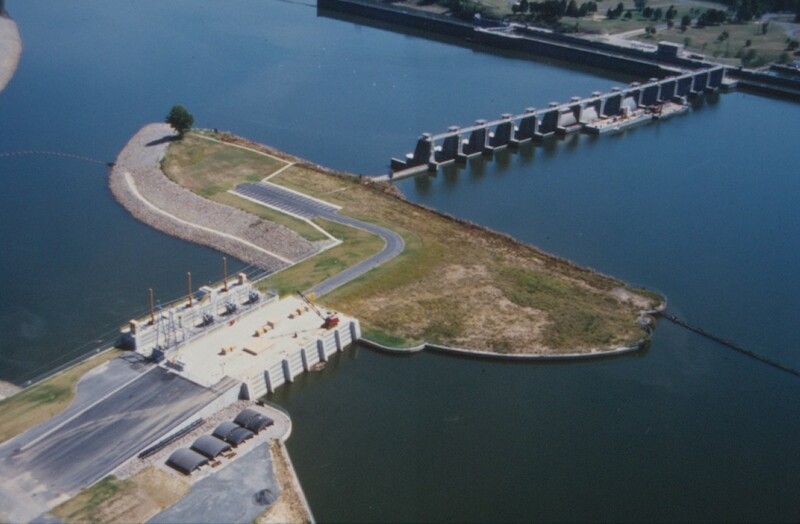 This plant, located at the Wilbur D. Mills Dam near Dumas, was completed in 1999 at a cost of about $189 million. In 1999, cooperative leaders and dignitaries celebrated the construction of the plant, known as the Electric Cooperatives of Arkansas Hydropower Generating Station. It has an installed generating capacity of 102.6 megawatts. AECC’s hydropower plants are low-head, run-of-river plants. Run-of-the-river plants use the available water flowing downriver to generate electricity without ponding water or changing the rate of flow from what the Corps of Engineers would normally release. 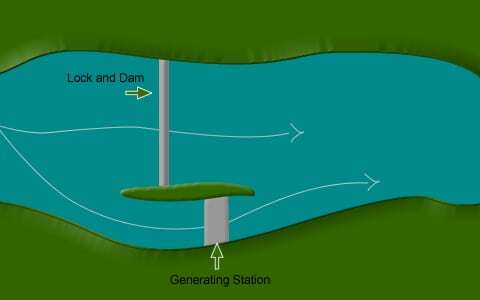 They are low-head plants, meaning that they operate at dams where the “head,” which is the difference between water levels on the upstream and downstream sides of the dam, is typically around 20 feet or less. The power plants at the dams on the White River, for example, are high-head plants with heads measuring 100 feet or more. With 20 years under its belt, the Ellis plant is going strong, as are the others. The hydroelectric plants have estimated lifespans of 100 years, which means the cooperatives have a long-term resource that will only increase in value as fuel costs for other sources of generation, such as natural gas-based power, continue to climb. Hydroelectric is low-cost power using a renewable resource and will benefit Arkansas’ electric cooperatives for generations to come.